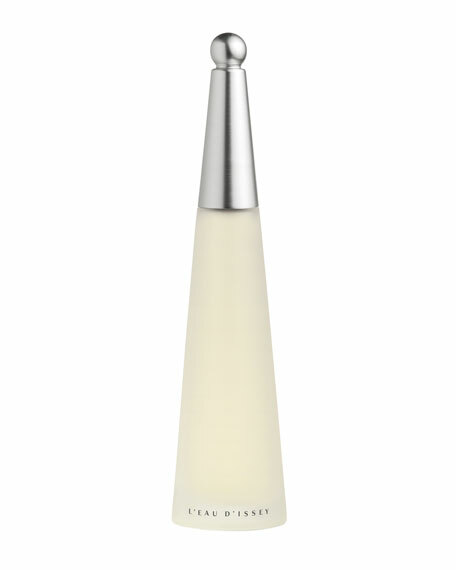 Earth's most precious element, water, is the central theme of L'eau d'Issey. By blending the sparkling qualities of water with the warm undertones of earth, the fragrance represents purity, serenity, movement, and vivacityawakening a feeling of total beauty. A wide range of floral scents including lotus, cyclamen, freesia, carnations, and white lilies. 1.6-ounce eau de toilette spray. For in-store inquiries, use sku #154616.